This year I finally got to visit Marfa, Texas. While it wasn't exactly what I expected, it lived up to it's reputation. It's basically a tiny Texas town that isn't much too much to look at on the surface. Once you start walking around the town and seeing all the hidden beauty and art you'll know why people visit there. 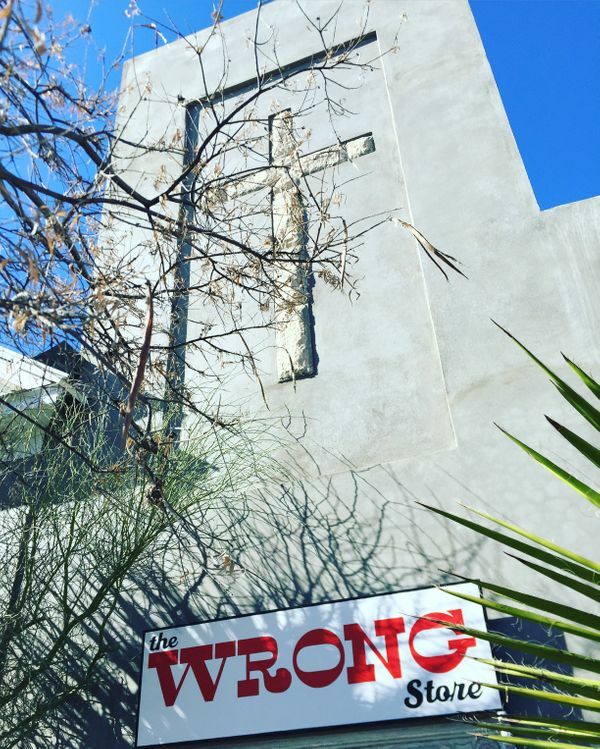 There's a feeling and a vibe that I can't quite put my finger on in Marfa. It's a feeling of magic and wonder. 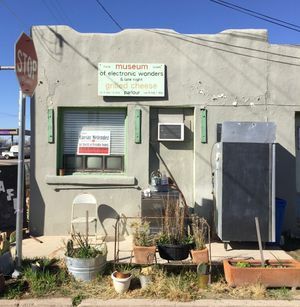 Here are my recommendations on what to check out while in Marfa. Thunderbird Hotel: The Thunderbird is an amazing small boutique hotel. The rooms are quaint and clean. They all surround a pool with plenty of seating for outdoor relaxing. It's modern and inviting at the same time. Be aware that the check in office is across the street and there are no TV's in the room. El Cosmico: This is simply a cool place to visit, even if you are not staying the night. You can pick between a trailer, yurt, teepee, tent, or you can self camp. The accommodations are pretty eclectic and cool at the same time. Be sure that your lodging has it's own bathroom if that's something that's important to you. Some of the lodgings have outdoor showers or shared toilets. As well as if you book here between November and March keep in mind that evening temperatures may fall below 32 degrees. Food Shark (food truck for lunch) Thursday through Sunday 12-3pm. I recommend the Marfalafel. Marfa Burrito (for breakfast) I think this place is only open on the weekends. Not sure. The breakfast burritos were simple and tasty. And they have FREE coffee! Museum of Electronic Wonders and Grilled Cheese (open late Friday & Sat 9:30p-12:30p) The grilled cheese lived up to it's expectations! Hotel St. George (for drinks & food) This hotel was only a month away from opening when we went to Marfa. The bar was open, so and we had some great Palomas and Old Fashions. The best part was sitting outside with our drinks and watching the cars drive by in this small town. Cochineal (dinner, must make reservations) You must make reservations! I cannot say this enough. Try to talk to a person on the phone as well because they don't return messages. The food was great and I highly recommend the blueberry pie. Capri Kitchen (light plates and drinks) This place is beautiful and the outdoor area is something backyard dreams are made of. I highly recommend the Hibiscus Margarita. Freda (Lifestyle boutique) Very small place with some interesting finds. We bought a Roky Erickson record here. Book Marfa (bookstore) This is a must see. Lots of great interesting reads to pick up here. Wrong Store (clothing & more) Loved this place. I would seriously move in to it. Marfa Brands (glassware & soap) I bought 5 bars of soap here. The packaging alone made me want to get it for all my friends. 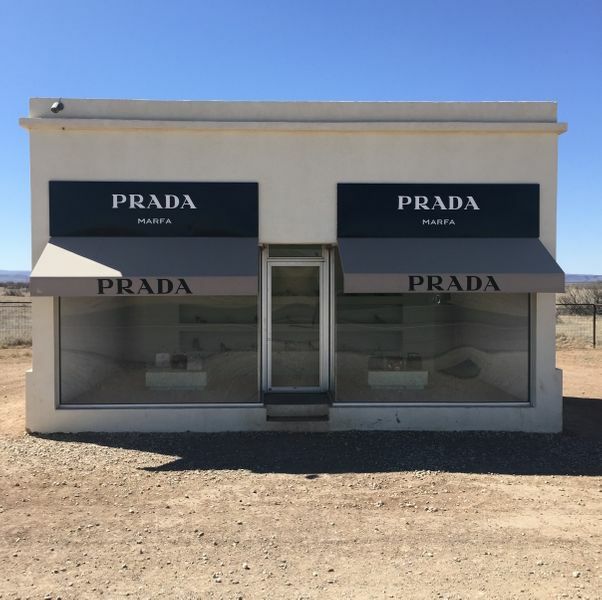 Prada Marfa This actually located about 30 minutes outside of Marfa in the middle of nowhere. Really weird and really cool. Chinati Museum Donald Judd purchased this military barrack in the 70's and converted it into a huge gallery for artists. Lots of walking and not the most kid friendly tour because you can't touch anything. McDonalds Observatory (about a 45 min drive from Marfa) We attended the Saturday night Star Party. You could see every star in the sky. Even the cosmic dust was visible! Great for kids. Hotel Paisano Stop by here to see where they filmed Giant. This hotel has been here since 1930 and it's beautiful. Marfa Lights I went here skeptically. Thought we'd be sitting in the dark and making jokes the whole time. But, wait! We saw strange lights in the distance just sitting there on the horizon. They looked like they were hanging out on the ground not moving. A very weird experience for sure. Donald Judd's Home This is right next to Thunderbird Hotel. It is enclosed by large walls around it. You have to buy tickets for the home tour.